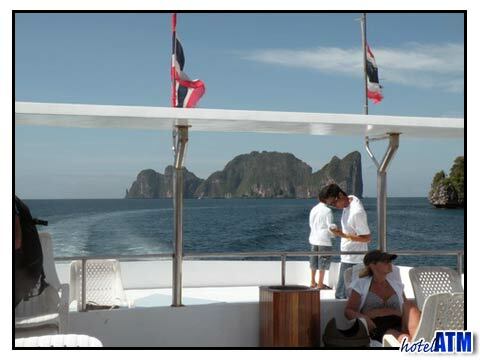 Weather in April on Phi Phi island can be some of the most glorious in all the year. 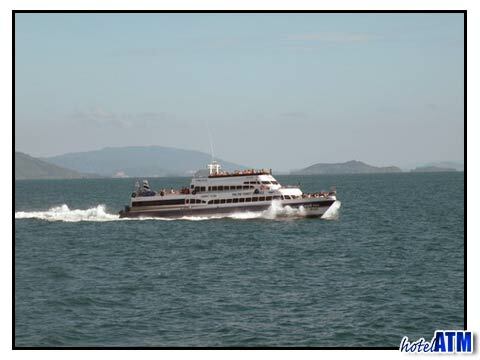 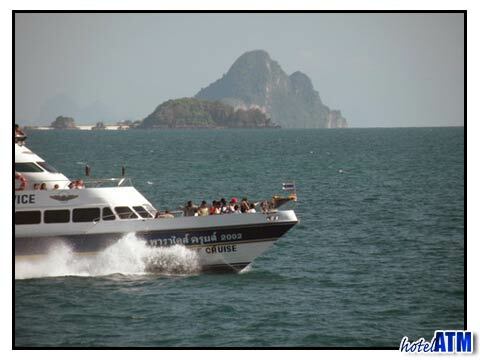 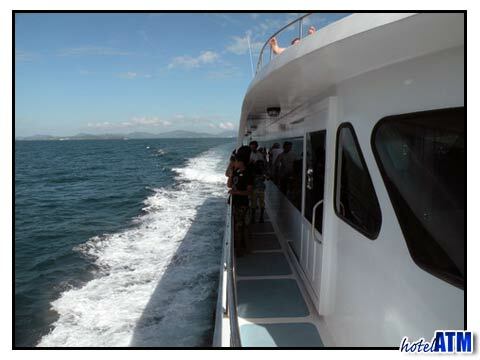 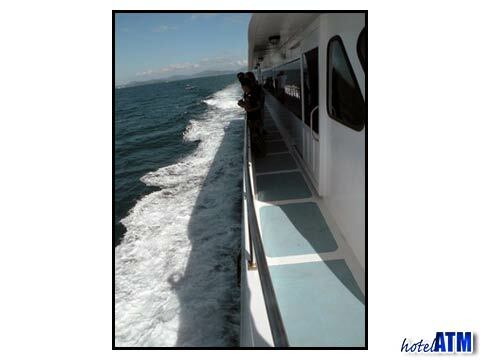 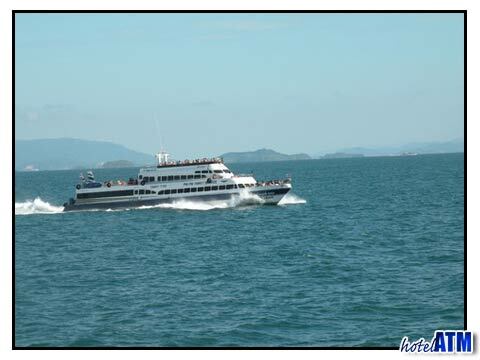 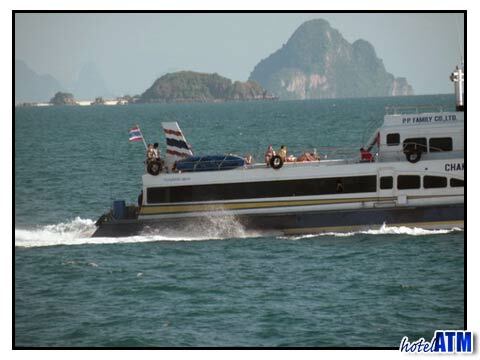 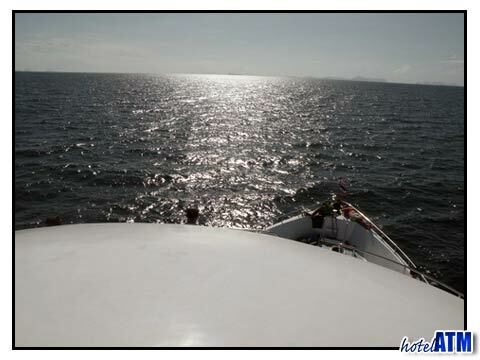 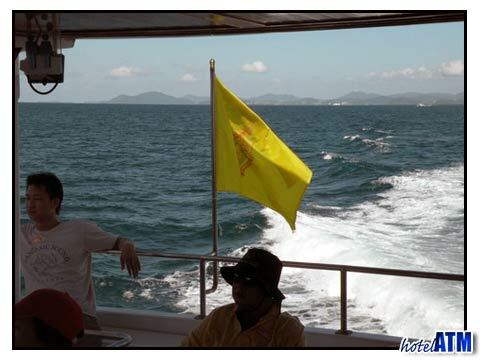 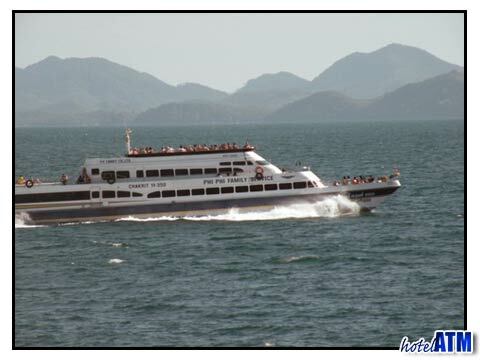 This gallery is made from pictures that were taken on the Sea Angel ferry from Phuket to Phi Phi island on the 7th of April just before the Songkran Thai festival, the festival that celebrates birth of Buddha. 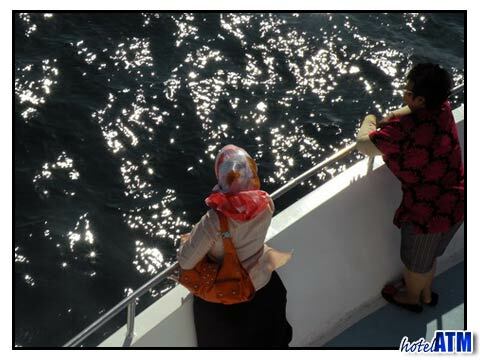 The weather was very hot but not too humid. 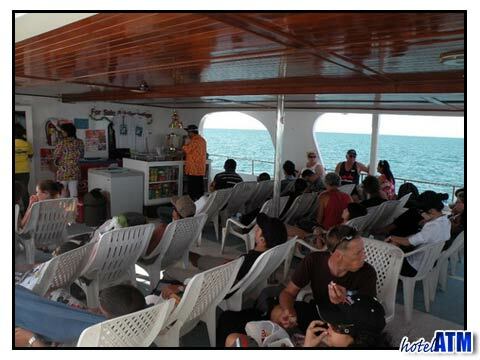 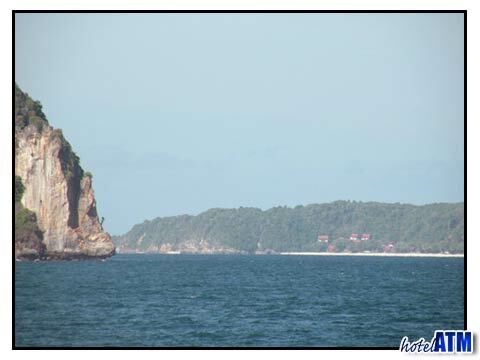 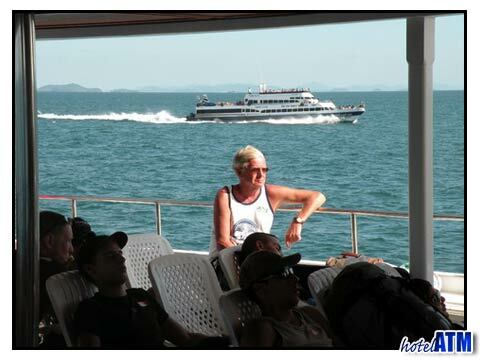 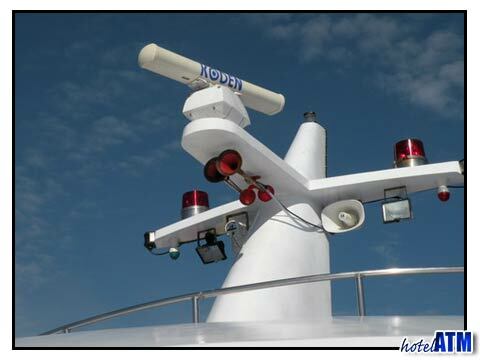 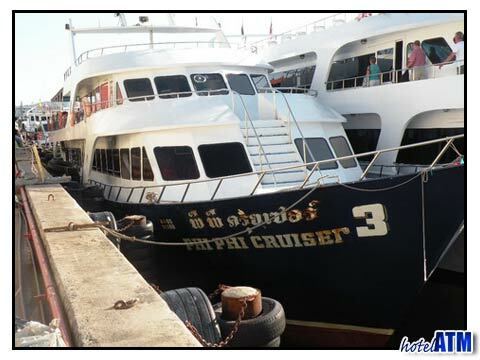 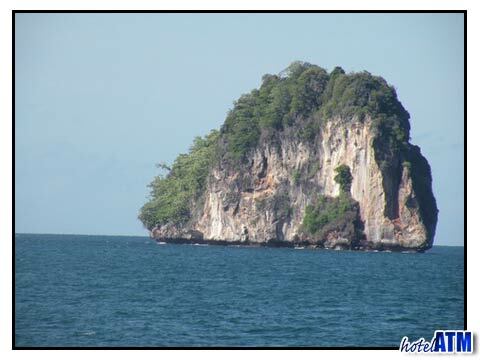 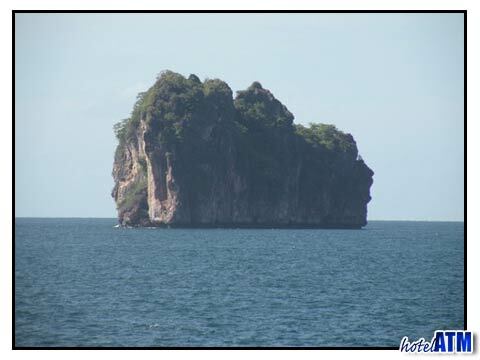 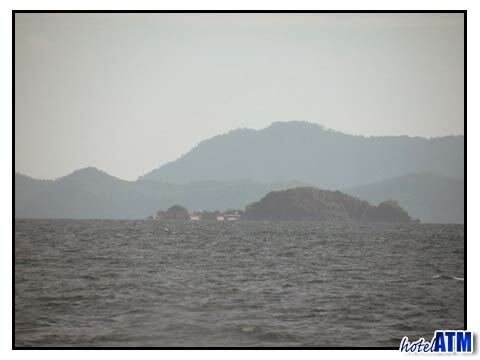 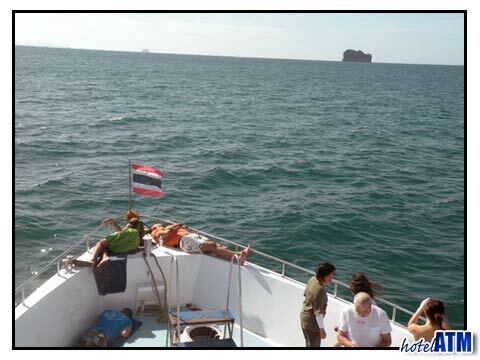 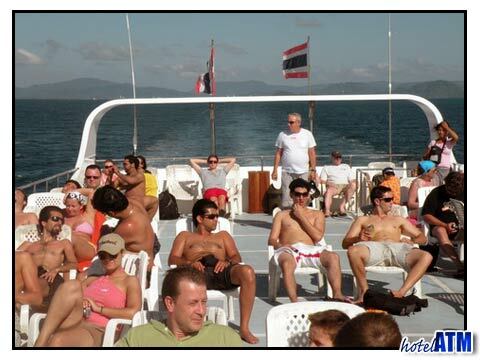 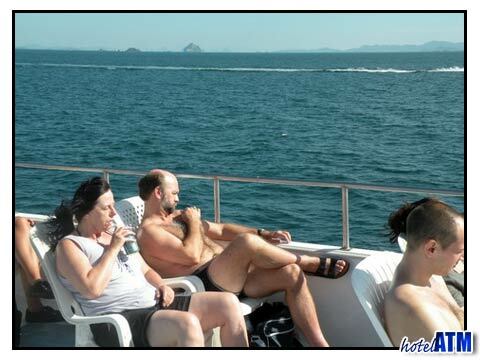 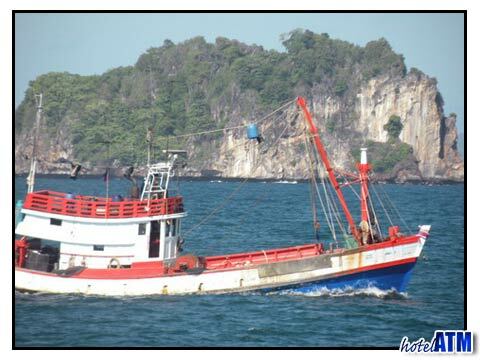 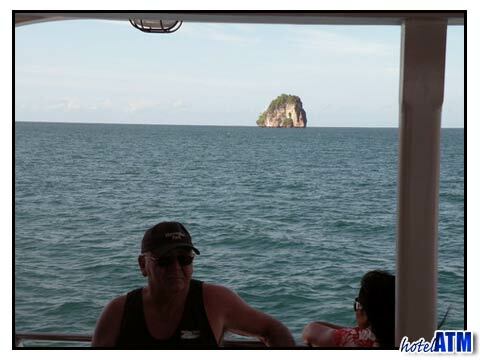 As you can see from the pictures, it was a glorious day and this we continued for our whole trip out on Phi Phi island. 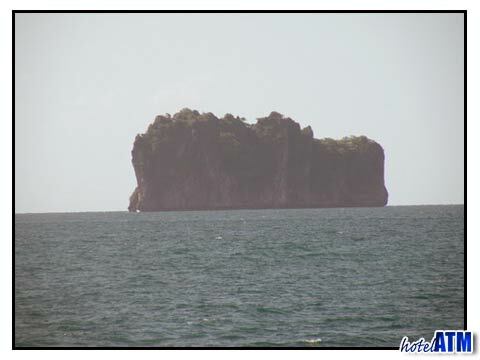 In the evening there was a rumble of thunder most nights and on one or two nights there were actually sharp but short downpours of rain. 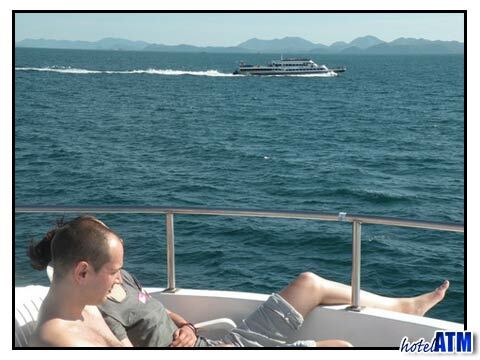 The next day the weather was perfect again so we had a fantastic break on the island and manage to get a lot done. 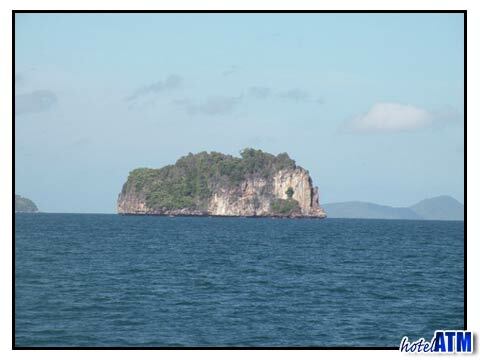 On the way out from Phuket to Phi Phi island we went past many small islands, some looked like they were inhabited but most seem to be covered in dense jungle. 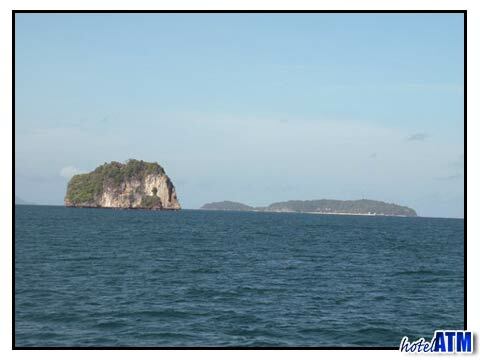 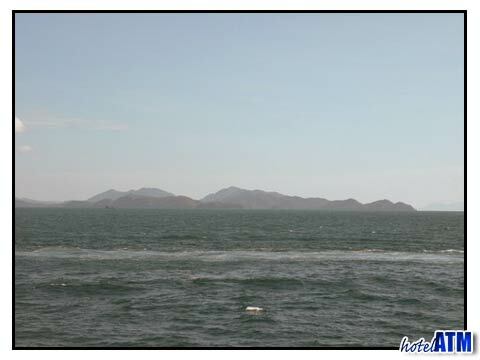 You can see the thin yellow lines of beach on many of these islands and they looked like tropical paradises. 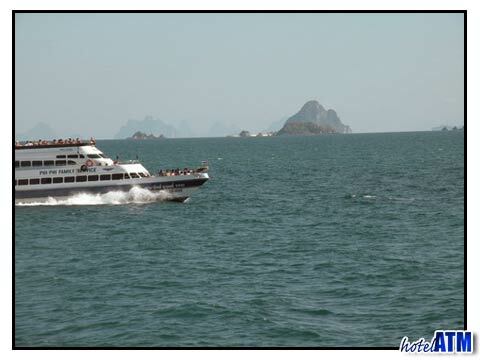 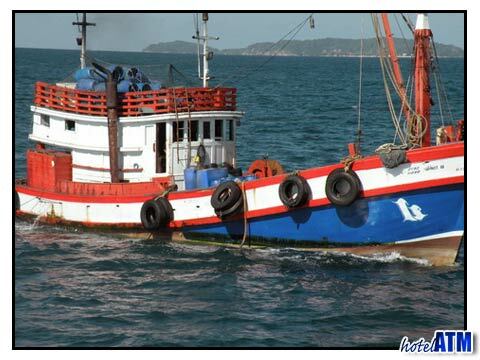 The boatman said that in June and July they often see dolphins in the water in large groups of up to for 50. 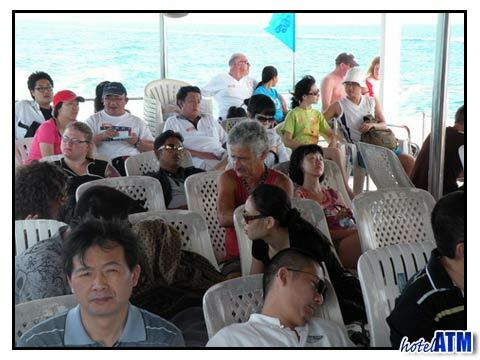 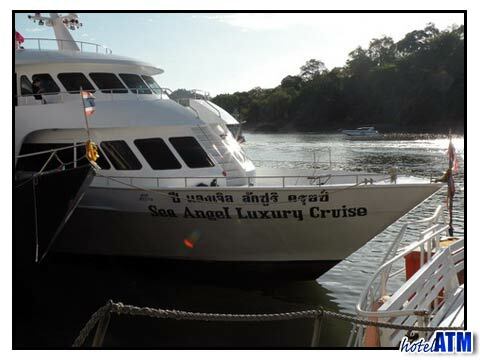 The Sea Angel ferry was a very comfortable ride and we had plenty of room for our bags and a nice group of seats together when it was too hot up on deck when we needed to down. 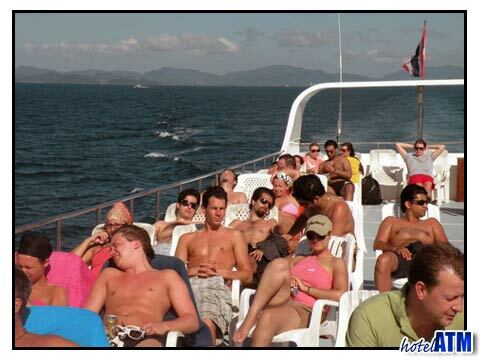 They also had some coffee and drinks so it was, all in all, a great trip. 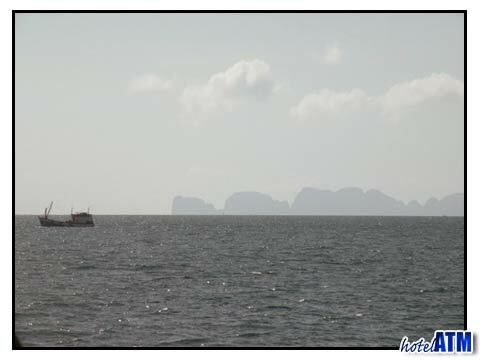 The views of Phi Phi island as you approach were quite magnificent, this really is an amazing part of the world. 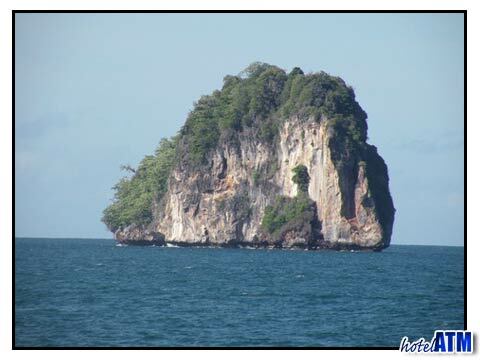 Written by Steff Magnus.